As we age, our skin gradually loses volume. 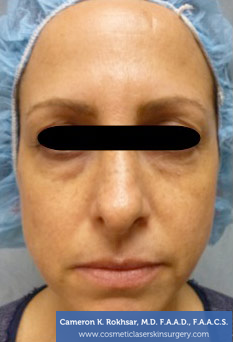 For those looking for ways to rejuvenate the face without the aid of surgery, there is good news. Temporary dermal fillers can address a range of concerns, including volume loss and deep creases. Juvederm is one of the most popular temporary dermal fillers on the market. 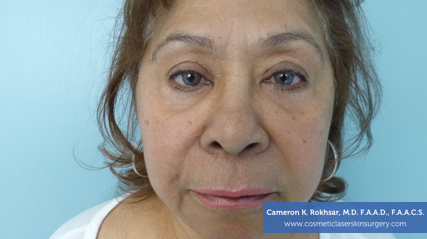 When administered properly, it can produce a smooth and natural-looking final result in most patients. Dr. Cameron Rokhsar, an expert in injectable treatments, performs Juvederm injections at his New York office. Am I a Good Candidate for Juvederm? 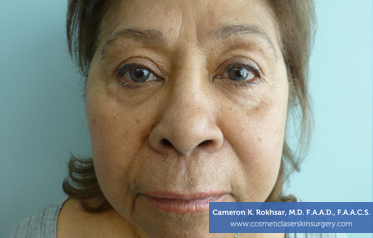 Dr. Rokhsar performs his Juvederm injections at both his Manhattan and Garden City offices. During a procedure, a patient may be asked to use a small ice pack or—if patients request or require it—a topical numbing agent. The injections will then be made. Most patients describe the sensation as not necessarily as painful but rather as a slight pinching sensation. Most patients can resume most normal activities. Because Juvederm is a hyaluronic acid-based dermal filler, a substance normally found in your body, the risk of an allergic reaction or serious side effects is low. Patients are usually advised to avoid strenuous activity for a few hours after their injections. Results typically last anywhere between 12-18 months but will vary from patient to patient. 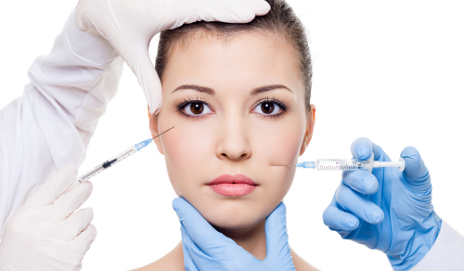 If you like the results, you can schedule regular touch-up injections in order to maintain those results. If you are interested in Juvederm treatments in New York, contact Dr. Rokhsar today to schedule a confidential consultation. What is Juvederm made out of? This temporary dermal filler is a gel that contains hyaluronic acid, a substance that can be used to fill in moderate-to-severe facial wrinkles and folds, as well as enhance lips. Usually, only one treatment is necessary to achieve a patient’s cosmetic goals, although the number of treatments will depend on the individual. Most patients will enjoy the effects for up to one year. Over time the body naturally absorbs the filler. Hyaluronic acid is a natural substance found in the human body that helps hydrate and add volume to the skin. Juvederm is created using a high concentration of cross-linked hyaluronic acid, which often can provide long-lasting results. Cross-linked simply means the hyaluronic acid has gone through the process of becoming a gel form, as opposed to the uncross-linked form of hyaluronic acid that is naturally found in a liquid state. The gel state allows Juvederm to add volume to the skin, creating a smoother complexion ultimately filling in the wrinkles. 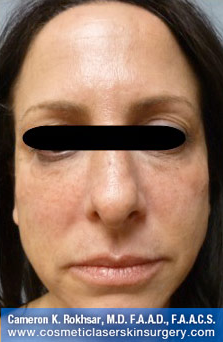 Individual results will vary and Juvederm cannot address severely lax skin.